The Powerpoint for my speaking gig to the Year 1 boys at The Kings School next week is done but I thought I should balance out the family tree of my Grandson who is the case study for my talk. The GeniAus side of the tree was looking rather healthy but the tree was a bit lopsided. My daughter-in-law has Greek and Dutch ancestry so that was a challenge for me. I tackled the Greek side a few years ago with the help of The Castellerizo Genealogy pages but I hadn't done much searching for the Dutch side. I am not going into depth for these lines but I want basic BDM details that I can source reliably. I remembered reading somewhere early this year that there was a new government site for Netherlands research and went looking for it today. Wie Was Wie is an amazing site that has transcriptions of Birth, Death and Marriage Records plus Census Records and other Historical Documents. With the help of Google Translate I have been able to build a quick pedigree for D-I-L's Dutch Dad. Google Translate helped me navigate this site. I have now moved into the 18th Century on this site and have found BDM dates and occupations for Dutch dad's direct ancestors. The interface is a dream to use. Haven't got time to write more as I want to see if I can move back another century. If you have any Dutch connections give this site a try or just take a look for interest's sake. As my regular readers know I am a sucker for a bargain and I love techie toys. On my shopping expedition today I netted both a bargain and a new tech toy. The bargain will be useful when I go out on a geneajaunt. I went into The Reject Shop looking for a cheap cover for my new tech toy but came out with something else, it was marked $6 but there was a sign showing that it had been reduced to $4 but when I took it to the checkout I was only charged $2. It's a mesh organiser bag, that has two large compartments, one zippered and one open plus eight small pockets for holding bits and bobs. I have a large laptop pouch that I use for transporting the items in the image below, this ne purchase will help me better organise them for travel. I am posting this because I thought some of my mates in Australia with $2 to invest might wish to wander down to The Reject Shop and check them out. The new tech toy is presently on the charger getting a fill of energy for its first encounter with me later this evening. Mr GeniAus' mobile phone has been experiencing difficulties so I generously offered to purchase a new phone and give him my old model. Last year I decided that I wanted a Galaxy Note 3 32g because I needed more storage. I also wanted a larger screen so that when I am travelling I can leave my Galaxy 10.1 tablet at home and travel with just a netbook and the large screen phone or phablet. I will be testing this out when I head off overseas next week. I am hoping that the 5.7" screen size will be adequate for short typing tasks and reading some ebooks. I had been holding off buying the device bacause of the price but I got a good deal on an unlocked model (there must be a new model around the corner) and, because I am leaving the country, I will get a 10% tax rebate from The Tourist Refund Scheme. I am wondering if any of my genimates are phablet users? I live in the Hornsby Shire Local Government Area on the northern edge of Sydney, known as The Bushland Shire about one third of Hornsby's area is public bushland. On Saturday I will be going on an excursion to Sydney's southernmost Local Government Area, Sutherland Shire which for some reason markets itself as The Shire. I'll be attending the Heritage Fair hosted by The Botany Bay Family History Society at Tradies in Gymea. The Fair is being held in a venue with great facilities and there is plenty on the program to amuse and interest family historians. 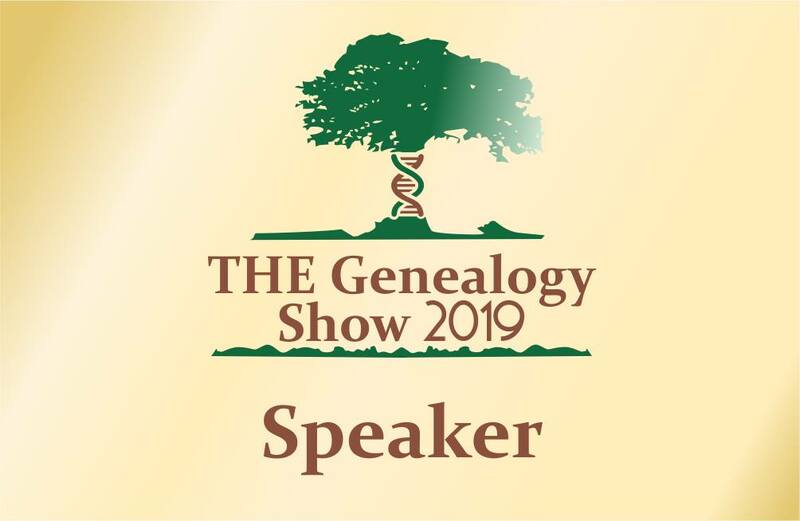 I will be working on the Unlock the Past/Gould Genealogy stand demonstrating the Flip-Pal, providing information on upcoming cruises and events and showing their range of publications. What's in the Archives for Family History? How about popping down to Gymea on Saturday and saying G'day? Today is one of my schoolfriends birthdays. When I was writing a birthday message on her Facebook timeline I noticed among the images on her page a clipping from an Australian Women's Weekly in 1958. One of the family members had commented that she wished the family had a better copy of the article that featured my friend, her four sisters and their Mum. I wondered if they knew of Trove and if the quality of the image available there was better than what the family had. I first tried a search to find the advertisement but drew a a blank. As I had the date of the publication I then browsed through the pages (and had a meander down memory lane) until I found on Page 51 the advertisement I was looking for. The quality of the online article is so much clearer than that which my friend has. I've now added some tags so that anyone searching for the family will be able to find this article. I wrote about my husband's ancestor James the Clock several years ago and told part of the story of our search for a grandfather clock made by this Scottish watch and clock maker who worked in Linton and Galashiels. It took Mr GeniAus eight years from when he started searching for a Gowans clock for our home until we found one, had it transported to our home and set up in our living room. Mr GeniAus is a man who doesn't give up and has been hunting for more clocks ever since that first purchase around four years ago. The first one we sighted was on a UK clocks website and appeared to be in a private home. 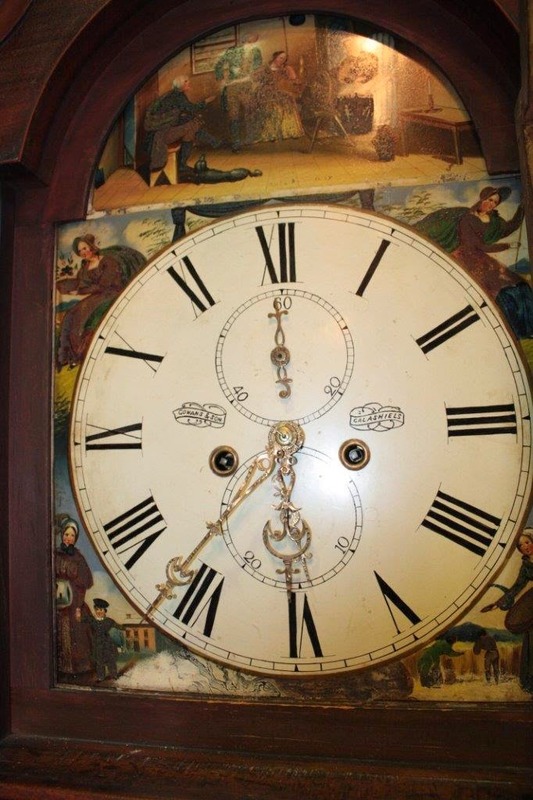 The second was in a distant cousin's possession in the UK, we have visited and viewed the clock. The third one is in the collection of Museum Victoria in Australia. We have also visited the Museum and viewed this clock. The fourth is standing in our living room. The fifth was auctioned online last month (and guess who bought it?). It seems as though Mr GeniAus is on a mission to locate more clocks made by James the Clock and bring them into the family fold. 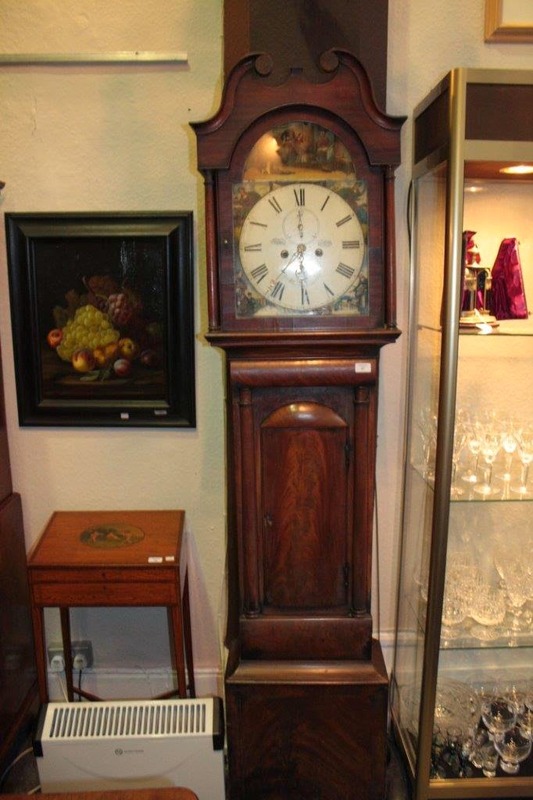 To that end we have listed our interests with several clock dealers and have a few Google alerts set up. As it happens one of our children was celebrating a significant birthday this week so I suggested that we give this latest clock to him as a birthday present. By the look on their faces when they read our present IOU I think he and his wife were quite pleased with the gift that was made by his 4x Great Grandfather. I wonder how long it will be before we find our next clock. On my first trip to Salt Lake City for the inaugural Rootstech Conference in 2011 I palled up with another foreigner, a bonnie wee lassie from Scotland, Marie Dougan. We were in the minority at this huge event that was overrun with North Americans and they thought we talked funny but we know that our accents were quite normal. 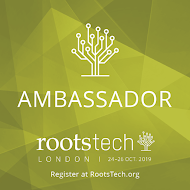 I had great fun with Marie in 2011 so I was pleased when she announced that she would be returning to Rootstech in 2013. As I had been selected to host a panel session at the 2013 conference I invited Marie to join the panel, her contributions to the panel were fantastic. GeniAus with panelists at Rootstech 2013, Marie Dougan, Heather Rojo and A C Ivory. When Alan Phillips of Unlock the Past told me that he had secured Marie's services for his 5th Genealogy Cruise I was thrilled as I knew that Marie would be a great asset to the team of presenters on the cruise. Last night I had the pleasure of interviewing Marie for Unlock the Past in a Google Hangout on Air. In case you missed the Hangout with the delightful Marie I am embedding it her for your viewing pleasure. As I often present talks on various aspects of Social Media I wondered what I would find about the subject in Trove. I didn't find any newspaper articles but I did find several books, photos and journals. What caught my eye was an audio file from 2009 on Social Media that I was able to download and listen to. I was surprised when I was directed to a University Library in the US until I had realised that when I searched I didn't select Search for Australian Content so Trove gave me hits from other places. In case there are copyright restrictions I will just post the link to the file from Vanderbilt University in Nashville, Tennessee here. Every so often I republish a post of old. The following post first appeared on this blog on June 8, 2010. Since I wrote this article the number of genealogists using the tool has grown enormously, I do not even try to keep up with all the tweets in my stream any more but just drop in when I have some time. I still find Twitter especially useful for sharing news from events. Having read this old post I still agree with what I said nearly four years ago about Twitter use. Twitter is a wonderful resource for learning about current news and new resources. My problem is how to use Twitter for family history responsibly. I don't want to clog up the tweet streams of my followers with useless tweets so I don't retweet items that a number of my followers who have the same follower base have already retweeted. Neal Chambers says that "The most important thing about your Twitter account is your username. This will be used to identify you in the Twitter stream and how people will find your account (http://twitter.com/username) It's best to choose something easy to remember/spell. A perfect example of this is your real name (gasp!)." I chose Geniaus as I wanted something short and easy to remember that indicated my interest in genealogy and my location and interest in Australia. If you do not want to use your own name think of a short identity that somehow describes you. 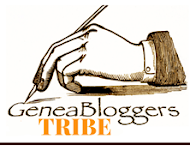 I particularly like @infolass, @geneabloggers, @genebrarian and @geneaphile. The nine essentials of Twitter etiquette includes the advice "Don't feel compelled to tweet regularly. I promise that if you take a personal tweet-free day, your audience will understand." One does not need to tweet every day, interesting news does not arrive at regular intervals but in waves, one's pattern of tweeting can reflect these peaks and troughs. Less is more. Some Twitterers with a commercial affiliation use Twitter as a marketing tool and seem to retweet endlessly; I am tempted to unfollow them but I might miss some of the original snippets they post. The Search Marketing Spin Blog warns against being"Re-tweeting Machines: If all you do is re-tweet, that can get annoying as well. I definitely encourage re-tweeting articles and thoughts that are deemed important, but keep that as part of the overall mix." I wish Twitter had a facility where one could select individual settings for those one follows ie so one could select to see just a user's original tweets, retweets, replies or any combination of these. "Don’t RT Yourself If you have multiple Twitter accounts, for example one for personal stuff and another for work, please do not Retweet what you said on another account. If people want to follow both, they will. There’s a reason you have two accounts: not everyone cares about both of your online personalities." This advice from "Online etiquette: Tweet with care" should be heeded by some genealogy Tweeters. In Mind your twitter manners Jacqueline Whitmore says: "Don’t spam. If people are following you, they are going to want real content that matches their interests or teaches them something new. If you are sending out numerous tweets that are trying to sell your products, you will quickly lose your following. People have enough spam through e-mail and don’t want this to be another source of excess clutter." I actually unfollow and refollow some people while they are at events and conferences. A PCWorld article "Twitter Etiquette: How to Tweet Politely" states "Reconsider the running commentary. Live-tweeting sporting events or conference speeches may seem like a public service, but who's listening? If you normally use Twitter to post once-a-week status updates but then abruptly let fly with 80 tweets in a day, you'll aggravate followers who aren't expecting their account to be inundated by your sudden outpouring. Consider composing a blog post instead, or offer a single succinct observation each hour". "Don't bother re-tweeting the big dogs" is more sage advice from The nine essentials of Twitter etiquette includes the advice. Most people interested in genealogy will follow Ancestry and FamilySearch and other major organisations in their countries, don't retweet what most of your followers will have already read. One of my pet hates is the Follow Friday post where one thanks followers. These posts seem impersonal to me and clog up tweet streams. If a thank you is warranted one can send a private thankyou via a direct message. It is important to build relationships on Twitter; this can be done by sending public individual thankyous, using the reply function and retweeting followers' posts. Remember that your Tweets are in the public domain. If you say something on Twitter you are potentially telling the world. Your tweets can be read by everyone. It's funny the things that suddenly strike you when you are doing something else. Today I was giving a talk to a non-genealogy group entitled "Share your stories in small bites - Write a blog" when a question about hyperlinks from an audience member made me think about one of the advantages of the blogging medium that many bloggers do not appear to use effectively. I love the blogging medium because it allows me to add external links to other sites or blogs where readers can go for further information or clarification, to check on a source or find out more about a person mentioned in a post. When writing an article for printed media I miss being able to add hyperlinks to my text. When I started blogging I tried to develop a habit of embedding a few pertinent links in each of my posts. Sometimes I fail dismally (especially when I am in a hurry) but I endeavour to add meaningful links to most of my posts. Tonight, as I was catching up on blog reading in Inoreader, I took particular note of the use of links in the posts I read and was surprised at the opportunities missed by many bloggers to add value to their posts with hyperlinks. There were several place names mentioned in the posts I read, if these had been linked to articles with further information about the places then readers who didn't have a clue about the place, its location or history could have followed the links to find that information. I came across instances of meaningless (to me and maybe others) acronyms being used; hyperlinks to information on what the random letters meant would have helped ignorant people like me. Many people were named in the posts, most of these were strangers to me, links to their blogs, profiles on social media or entries in a genealogy databases would perhaps have told me if they were dead or alive and where in the world they were situated. And then there was the jargon, I and many blog readers are not a walking dictionaries. If you use subject specific terminology please consider adding a link to a definition or explanation to help us understand. Adding value to your posts with hyperlinks slows down the blogging process; it takes time to seek and find appropriate links but it is worth the effort. Today I told the group of potential bloggers to think of their audiences and then put themselves in those readers' shoes. Our blogs reach audiences in all corners of the globe and our readers have cultural differences and a range of life experiences. Do you make it easy for your readers to get full value from your writing by adding pertinent hyperlinks to your posts? Today my Aunty Mary would be 83 years old. The youngest of the five Duncan girls from Cobar she died aged 66 in 1997. My Mum the eldest of the five is the only sister still surviving - longevity is a game of chance. One of my earliest memories of Mary is at her 21st birthday party held at the Masonic Hall in Kensington. 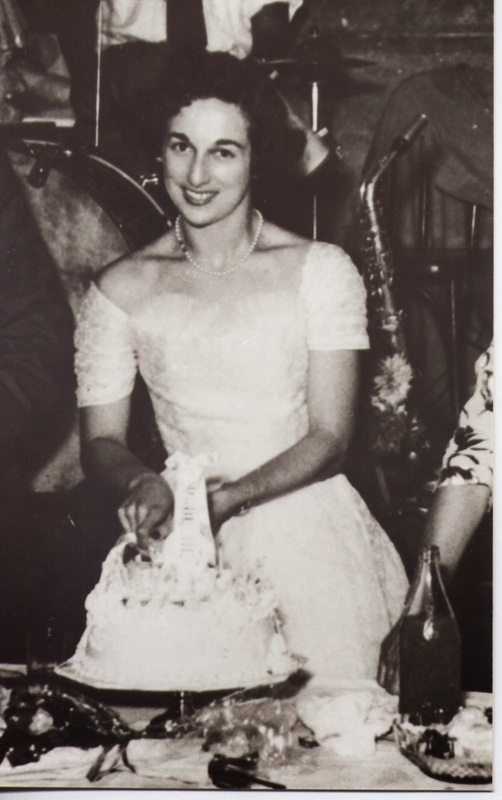 and I also remember the day when she married Laurence Wellesley Jackson, a musician, in 1957. After Mary separated from Laurie she began a relationship with Noel Tate that lasted until her death. I remember Aunty Mary as being a fun-loving and generous woman who loved her nieces and nephews and their children. During her time with Laurie and her early years with Noel Mary had an ongoing battle with alcohol. Eventually she joined Alcoholics Anonymous and managed to remain sober until her death due to the strength she gained from membership of this organisation coupled with her determination. We younger members of the family heard rumours that Mary had borne some children but were kept in the dark about this. My cousins and I think that Mary had two or three children who were either adopted or fostered out. I seem to remember being told about a new little cousin born at The War Memorial Hospital Waverley probably in the late 1950s and then not hearing anything further on the matter. I was surprised to learn at Mary's funeral in 1997 that her son was in attendance (I had wondered who the young man in the front pew was). This was quite a bombshell. Apparently he had made contact with Mary and had been visiting her for a while. My mother offered this young man, Tim Jackson, who lived on the Central Coast a lift in my car part of the way home from the funeral. I chatted with Tim on the long drive from Jamberoo and realised after I dropped him off at Epping Railway Station that I didn't ask him for his contact details. Tim had told us that he also had a sister, Susan. I have thought long and hard about writing about living people in this post but Mary's children are my first cousins and I want them to be able to find me if ever they decide they need to have contact with members of their birth family. I have quite a number of photos of Mary and her family that I would love to share with her children. I hope that some day they do a Google search for Mary's name and contact me. I have two more speaking engagements this month for The Ku-ring-gai Seniors' Festival and an appearance on the Unlock the Past/Gould Genealogy stand at The Botany Bay Family History Society Heritage Fair on March 29th. I also hope to host a Hangout or two. The audiences I address contain many silver-haired people and those whom hairdressers help to keep the silver at bay. Sometimes a few youngsters in their twenties or thirties may even come along. The audiences are usually mixed but the females well and truly outnumber the blokes. I am very excited about the only gig I have planned for April before Mr GeniAus and I take off on our next overseas adventure. For starters I expect that there will be around twenty males and only one female (apart from me) in attendance at this exclusive event. If any youngsters in their twenties or thirties were to join us they would feel positively ancient. One of my offspring told the group leader that I was an expert in genealogy (nice to see he has an inflated opinion of his Mum) and offered my services to speak to the group. I am very excited that I will be talking to Year 1 students and their teacher at The King's School in Parramatta about my passion, family history. I will have to draw on my history as a Children's and Primary School Librarian and Teacher so that I won't bore the socks of them. I am also reminded of the Jesuit boast , 'Give me the child for his first seven years, and I'll give you the man,'. These chaps are either 6 or 7 years old, I wonder if, in half an hour or so I can hook a few future family historians. I was so excited to read today that Getty Images were opening up their archive for people like me to use on the web that I just had to see what I can find. One does not paste the actual image into one's blogs or site but one adds an embed code to the image which remains on the Getty site. It's still pretty cool (and generous of the people at Getty). One of my pleasant duties on the recent Unlock the Past Genealogy Cruise was to interview a few cruisers and find out about their cruise experiences. For this series of interviews I purposely invited people who weren't right in the spotlight on the cruise to tell me a little about themselves, why they were cruising and what they gained from the cruise. What the members of this group share is an appreciation of geneacruising as a form of education, enrichment and entertainment. The interviews have now been posted on The Unlock the Past Youtube channel. If you are curious as to why Dawn, Anne, Lee-Ann, Geoff, Victoria and Jane enjoy geneacrusing take a look at https://www.youtube.com/playlist?list=PLZlhsqhTzpEa_w2aeGdKzxnRlgIegJERW. Thank you to the interviewees for taking time to chat with me, I thoroughly enjoyed speaking with you. 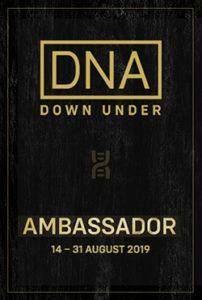 One of the most knowledgable, modest and gentle presenters on the recent Unlock the Past Cruise was Maria Northcote who has done so much for genealogy in Australia through her Genies Down Under podcast series. I thoroughly enjoyed Maria's presentation on the cruise not only because of the content but because I gathered a few tips on presenting through observing Maria in action. I am certainly going to incorporate her BINGO activity in some of my future presentations. While on the cruise Maria conducted for a future podcast a few audio interviews with cruisers and I was privileged to be interviewed together with my blogging mate Pauleen Cass from Darwin. Gathered around a table in a lecture room late one evening with Dot Elder and her sister Cathy for company we had our interview. The atmosphere was informal and great fun with lots of friendly banter and laughter. Last night Maria emailed that she had published her latest podcast "Episode 30: Cruisy stuff for genies: Genealogy news from aboard the 4th Unlock the Past History and Genealogy Cruise (Part 1) (March 2014)" and that the Interview with Pauleen and I was included. In this session she also interviewed Alan Phillips and Chris Paton. It was no surprise that Maria did a super job by interspersing the various interviews she posted with relevant commentary. You can listen to Maria's podcasts on your computer, if you are an iPerson you can download to your device via iTunes. As an Android user I use the Doggcatcher app to download the podcast recordings to my tablet. These podcasts are a wonderful resource for all genealogists. Thank you, Maria, for featuring me in your podcast. The next genealogy talk at my local library at Hornsby will be presented by author, Carol Baxter. Those who have attended Carol's previous talks around Australia will know that she is a lively, vivacious and knowledgeable presenter. In this talk on March 19th Carol will you how to turn dry facts into exciting narrative. Thanks to Neil Chippendale, Local Studies Librarian at Hornsby for sharing details of this event. Book online http://www.hornsby.nsw.gov.au/library/activities-and-events/writing-interesting-family-histories or at any Hornsby Shire Library Branch.